In this type of bearings the track on the outer race is ground spherical and its this feature which gives these bearings the property of self alignment. Due to the character of self alignment these bearings are not affected by the shaft deflection and mounting errors and a shaft deflection up to 4o is automatically adjusted without damaging the bearings. 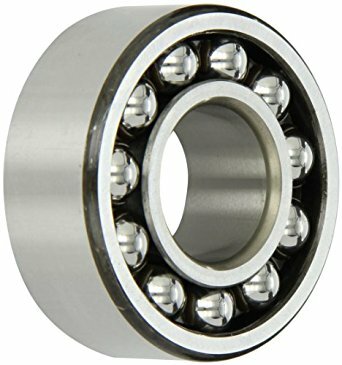 These bearings are chiefly designed for carrying radial loads but at the same time they are capable to carry small thrust load in both directions. Load carrying capacity of these bearings are slightly less than that of a single row deep groove ball bearings of same dimensions.